Give your home a little facelift this spring. 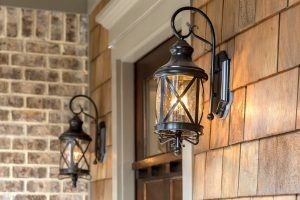 Whether you’re thinking about selling or just looking to brighten your house, here are the top 10 low-cost ways to up your home’s curb appeal. A fresh coat of paint might just do it. It covers up smudges and dirt which helps makes your home look more inviting. 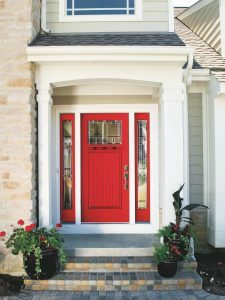 Choose to a fun color like red, it can attract more potential buyers whenever you decide to sell. 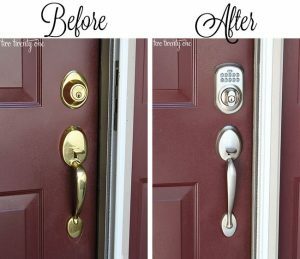 Putting new numbers on the front of your home, buying a new mailbox or changing door knobs and locks can make your home look more modern and up-to-date. Try looking for some cheap ones on craigslist, Facebook yard sales, or visit an actual yard sale in your neighborhood, you’d be surprised what you can find. Once you purchase them, you can paint them any color you’d like. 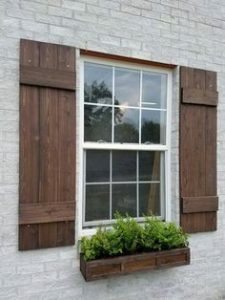 Adding new trim or shutters to your windows can make your home look 10 years younger. 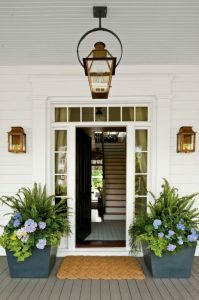 Add a splash of color by adding just a couple of plants that match on your porch, but don’t stop there, buy some flowers too. It can really bring life to a place. It’s a no-brainer but often people think it’s not a big deal. Just take a Saturday morning to rake up old leaves and pick up any trash laying in your yard. Once a year you should remove debris from your gutters. Clogged gutters can cause fires, so it’s pretty important to keep them as clean as possible. 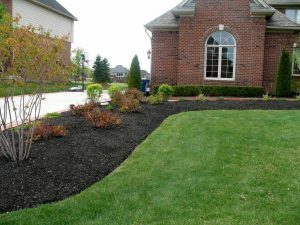 You might want to put fresh mulch in your flowerbeds and along your shrubs at least every few years. It might need to set aside some time in your busy schedule to do it, but it might be worth it since it can protect your soil and prevent weeds from growing. Replacing mulch is a cheap project that can-do wonders for the plants in your backyard. 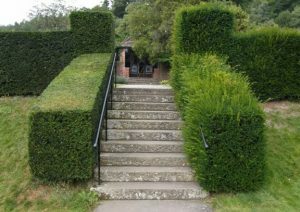 If you have shrubs or bushes, it’s best to give them a good trim now and then. When they get overgrown and scraggly, they can become an eye-sore rather than a nice addition to your home. 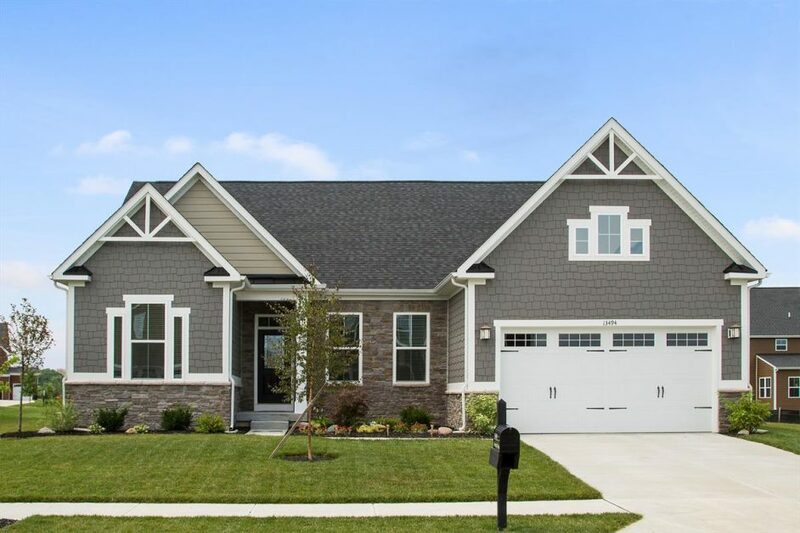 Not all home improvement projects will add value to your home. But putting up a new light fixture could make a difference and it’s fairly cheap to do. And depending on the season you’re in, you might need to make additional adjustments to prepare your home for the winter or spring. You can usually get power washing done relatively cheap, but it’s actually quite easy to do yourself. If you don’t have a power washer, check with your neighbors and see if anyone has one. If not, see if they’d be willing to chip in for a power wash weekend. Power washers, even large commercial grade ones, usually rent for under $100/day, but if you pool your funds with the neighbors, you can probably do it for even less. 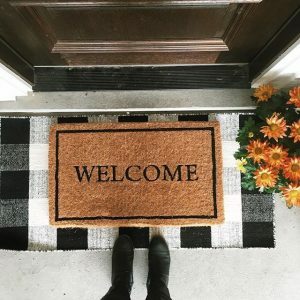 Plus, if your neighbors’ sidewalks and driveways look as clean as yours do, buyers will get an even better impression of the home and the neighborhood in general.